Complete, open and integrated systems based on Oracle technology give your organization choice and flexibility to meet your business requirements. Whether you need a fully integrated, ready-to-go system or a high performing server, Integritas can help you identify the best solution for your situation. Interested in reducing complexity and eliminating costs? Integrated, or engineered, systems are multiple components architected, integrated, tested, and optimized to work together. This results in easier deployment and upgrades, and more efficient systems management. The integration work is done for you so new services come online quickly. With integrated systems you can achieve extreme performance get the job done faster, better, and more economically than it has been done before. You can be assured of top performance from every level of your stack. When performance, reliability and security are critical, choose Oracle. Oracle servers consistently deliver the highest levels of performance when running a wide range of enterprise applications. They are built to provide record performance with Oracle applications, including Oracle Database and enterprise Java. Unplanned interruptions are not an option in today’s always on, connected world. Oracle servers provide built-in hardware and software redundancy to maximize system uptime and provide continuous service. Oracle servers assure business continuity by delivering the reliability and data integrity required for critical, long-term enterprise deployments. 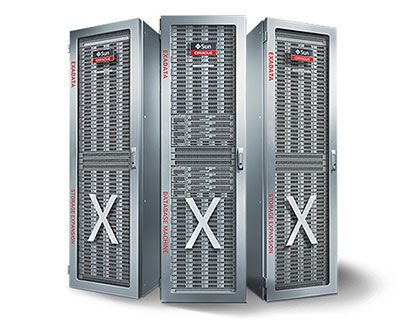 Oracle’s SPARC T7 and M7 Servers, with 1 to 16 sockets and 256 to 4096 compute threads, deliver wide key data encryption with no performance penalty and advanced intrusion protection. With world record performance spanning enterprise, big data, and cloud applications, SPARC servers enable you to make decisions faster using real-time analytics. Achieve end-to-end security with always-on memory intrusion protection and comprehensive data encryption. The security in silicon features and the Oracle Solaris operating system, help protect data from unauthorized access and stop malware before it gets in. 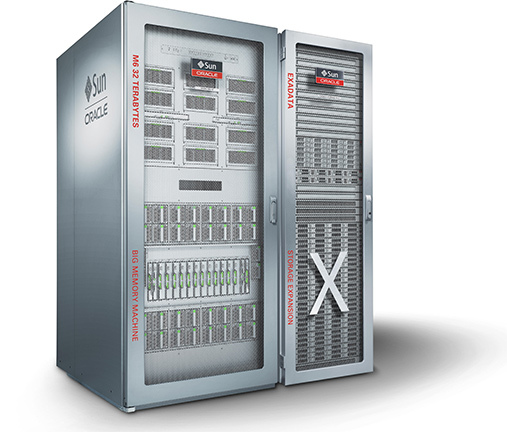 Oracle’s Sun x86 systems are the best platform for running Oracle software where x86 architectures are required. Only Oracle provides an optimized hardware and software stack that offers a choice of OS, virtualization software, and cloud management tools. Oracle’s Netra systems provide exceptional uptime and offer capabilities that enable customers to accelerate time to new services, lower business risks, and improve business agility. Netra servers are the benchmark for mission-critical deployments and provide highly reliable and continuous service delivery in communications, public sector, and embedded OEM markets that require extended product availability beyond that of most commercial servers. Fujitsu M10 servers are flexible and scalable systems that deliver high-performance and mission-critical RAS for enterprise-class workloads. These servers provide unmatched scalability from 4 to 64 CPUs utilizing a modular architecture that allows enterprises to start with only what’s needed today and expand as their business grows. Managing your growing amounts of data is critical to system performance and security. Oracle storage systems from Integritas offer faster results, lower TCO, and better management. Oracle All Flash FS Storage System accelerates Oracle Database and critical applications, enables secure consolidation, and reduces TCO with the consistent low latency available only from flash. Oracle ZFS Storage Appliances, the first application-engineered NAS storage systems, enable customers to reduce complexity and cost with high performance, efficiency, and unmatched Oracle software integration. Oracle FS1 Flash Storage System provides enterprise-grade SAN storage built on the most intelligent and granular flash tiering to accelerate critical applications, enable secure consolidation, and reduce TCO. Oracle’s StorageTek is an innovator and leader in digital archive and enterprise data protection, offering simple, easy-to-use, tiered storage solutions for low TCO and long-term investment protection. Oracle’s comprehensive storage software suite helps maximize efficiency, optimize performance, simplify management, and reduce total cost of ownership.